Quality | Granger Machine Inc.
Granger Machine Inc. follows a Quality Management System, complete with documentation. We are committed to the continuous improvement of our quality management system with the objective of manufacturing precision machined components that meet or exceed customer requirements for quality, reliability, and on-time delivery. 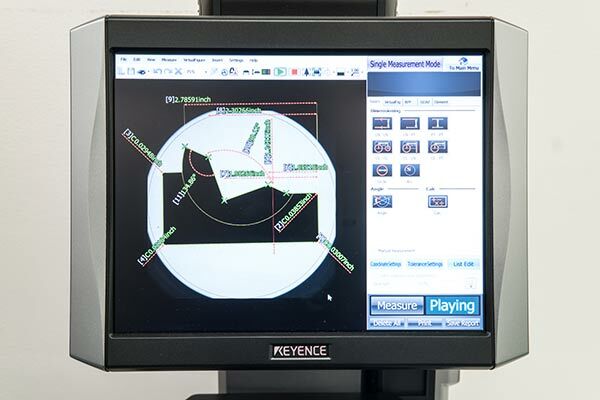 Our highly trained staff and state-of-the-art inspection equipment, including a Hexagon Global Performance CMM with PC-DMIS software, and Keyence Optical measurement equipment provide us with the expertise and optimum efficiency to meet our customer’s needs. In support of our delivery and quality objectives, Granger Machine Inc. utilizes Jobboss for production planning and job monitoring and Minitab for data analysis and continual improvement strategies. Tight tolerance, high precision parts are our expertise at Granger Machine Inc. and we place the highest regard on quality assurance. From order entry to delivery, we focus on producing a quality product.